Mary Therese Klufts was born on May 16, 1924 in Lawrence, MA., one of six children born to Adolph and Louise Klufts. She is predeceased by her five brothers, Bernard, Robert, Louis, Joseph, and Edward Klufts. She is survived by two sister-in-laws, Olga Klufts of Salem, NH and Gertrude Klufts of Manchester, NH. Mary worked in the Lawrence mills as a young girl and later for the IRS. 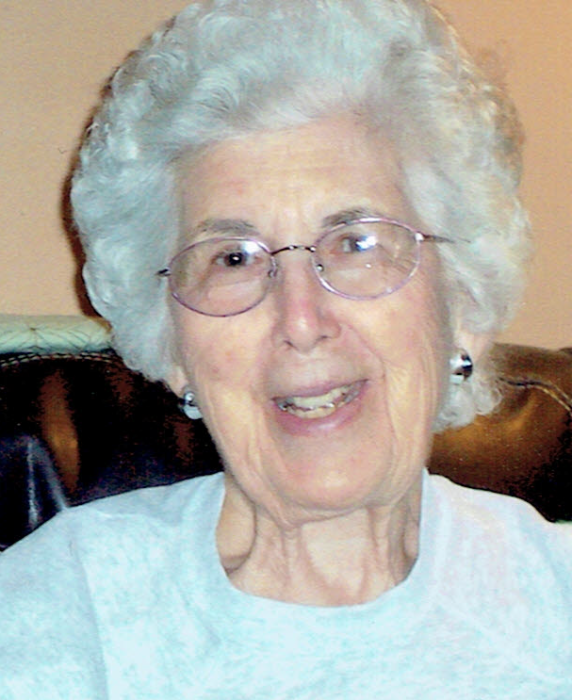 She was a devout member of the Assumption Parish and St. Monica’s Church, where she taught Sunday school and served as a lector and Eucharistic minister. She was a loving Aunt to her many nieces and nephews and cherished spending time with her family and many lifelong friends. She enjoyed the beach, traveling, reading, and cooking for others. She was famous for her lemon chiffon pie and raisin scones. Her family wishes to thank all of her caregivers at Mary Immaculate Rehabilitation Center where she spent the last nine years of her life attending weekly Mass and Praying the Rosary. At the request of her family, calling hours will be private. Friends are invited to a funeral mass will be celebrated on Saturday, January 26 at 9am at St. Monica’s Church in Methuen, MA. In lieu of flowers, donations can be made in Mary's honor to Bread and Roses soup kitchen. In lieu of flowers, donations may be made to Bread and Roses, 58 Newbury Street, Lawrence, MA 01841.